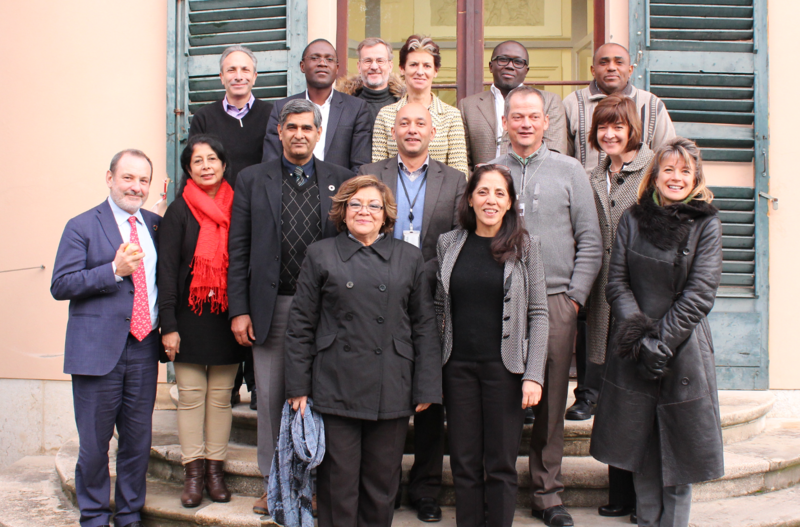 On 16 and 17 January 2018, the Scaling Up Nutrition Movement Executive Committee members gathered at the SUN Secretariat in Geneva for their second retreat. The two-day meeting provided an opportunity for the Executive Committee to appreciate the achievements and challenges of the SUN Movement, discuss how best to support the Movement in 2018, and offer guidance to the Secretariat and the SUN Networks. The Executive Committee reached a number of decisions and identified action points to take forward in the coming weeks and months. During the retreat, members of the Executive Committee discussed and reflected on the multiple burdens of malnutrition; the SUN Movement Monitoring, Evaluation, Accountability and Learning system (MEAL); the importance of nutrition in fragile and conflict settings; and how to strengthen women’s empowerment across the Movement. Executive Committee members provided guidance to ensure implementation of the SUN Movement Strategy and Roadmap is on track, and set milestones for the period 2018-2020. Task Forces have been established to draft a ‘Vision 2025’ paper; advance the work around multiple burden of malnutrition; define the scope of the upcoming SUN Movement mid-term review; and provide guidance and support on fund raising. A Statement from the Executive Committee, with further guidance for SUN Countries and the support system on the areas mentioned above will follow in due course. At @SUN_Movement ExCo retreat. Great group of people. Incredibly committed to SUN and to improving nutrition. Working hard to make it even more ready to respond to current and future challenges. The retreat gave the opportunity to elect the Chair and Vice-Chair of the Executive Committee for the next term: Shawn Baker, Director of the Nutrition team at the Bill and Melinda Gates Foundation, was renewed as Chair; and Tumaini Mikindo, Executive Director of Partnerships for Nutrition In Tanzania (PANITA) – SUN CSO Alliance Tanzania, was elected as new Vice-Chair of the SUN Movement Executive Committee. As part of the SUN Movement’s stewardship arrangements, the SUN Movement Executive Committee acts on behalf of the SUN Movement Lead Group to oversee the development and implementation of the Movement’s strategy.